Just waiting for one image – for the Pars Fortuna adventure – before I publish NOD 9. Very excited. In the meantime, I’ve been working on a hex map for the Altered States of America. When it is finished, it should encompass a pretty good chunk of the continent. You can see my progress below. The hexes here are 20 miles across. I haven’t really tackled the coasts yet or drawn in the major rivers. Is Long Island attached to the continent in these altered states? Just curious. 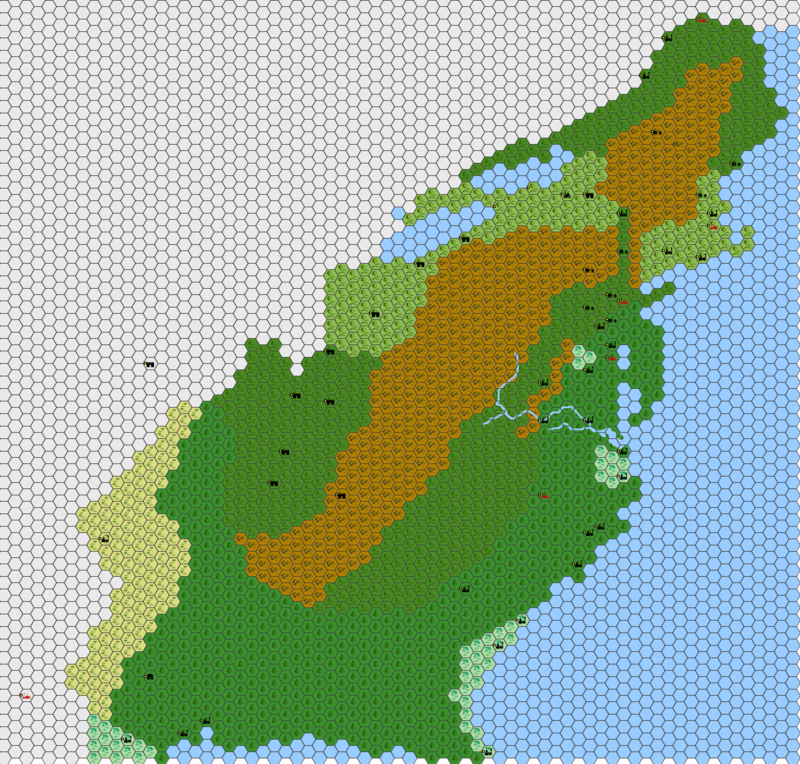 I'm toying with the idea of setting my campaign in what would be a fantasy setting based on the idea that a medieval society colonized the northeast. Your map would make my life much easier. No – I just haven't drawn in the coastline yet. Eventually, Long Island will be a separate entity.